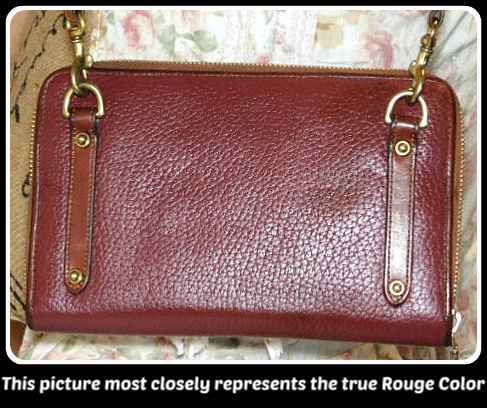 Rouge Vintage "Wallet on a String"
Dooney and Bourke's most popular vintage wallets: Zip-Along Wallets or Wallets on a String as some call them, in several colors and color combinations during the 1990’s. 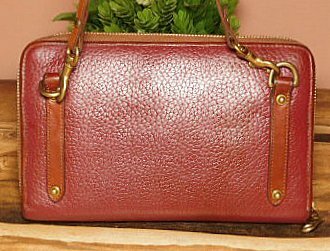 This listing is for a well taken care of Rouge Zip Wallet which is one of the rarest colors in all of the Vintage All-Weather Leather bags and accessories Dooney sold. 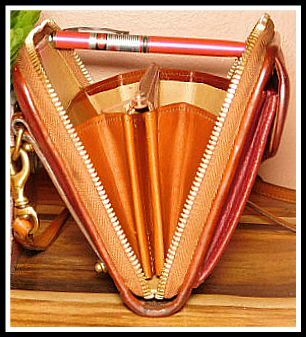 Note: Vintage Zip-Around Wallets in excellent condition are highly sought after and will always cost nearly as much or more now as they did when they were crafted back in the 1990’s. Authenticity: A leather engraved Dooney tag inside. Wallets and billfolds always have their trademark name somewhere inside the wallet. three sides of the wallet. 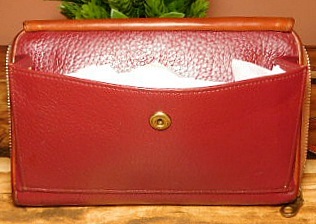 The trademark leather duck seal is sewn on the FRONT of the wallet. 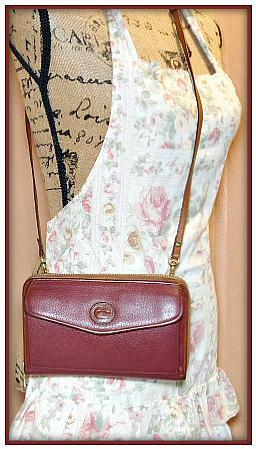 Removable & adjustable strap allowing you to carry the wallet as a clutch purse. Damage/Rips/Tears: No rips or tears or damage. Condition: Excellent, NOT New, NOT Like New. This Zip-Around Dooney Wallet has had less than normal use and is quite lovely. 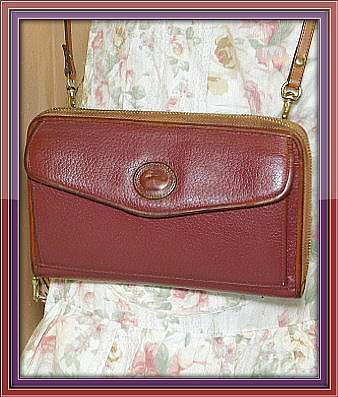 Minimal signs of use inside and outside and British Tan trim has matured to a darker honey brown just as Dooney and Bourke designed it to do. 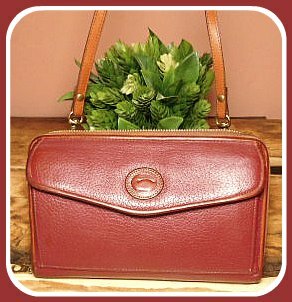 All Dooney's are professionally cleaned and are not sold with broken parts or rips or odd odors. Accurate discriptions are given & all major recognizable signs of use are noted. I am required to say that I am not an employee of Dooney & Bourke.